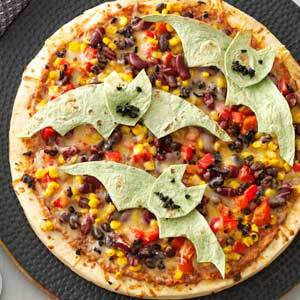 Halloween ways to be creative at the kid parties and even adult ones too! Halloween pot lucks, parties, and trick-or-treating can be sneaky business—even for your young ones trying to keep them healthy with the neighbors and other family or friends kids. The scariest part is you trying to avoid the kids’ treat bags full of candy, chocolate, and chips but yet making it fun for all. 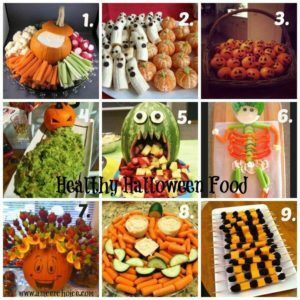 However, you can still get your great Halloween treats on without terrorizing your healthy diet if you infuse the holiday with these scary (good) tips and even more important for the young ones with even possibly having the kids ask you to tell their mom of the great recipe. It is all in your creativity and taking the time as opposed to picking up a bag of treats in a plastic bag you dump in a bowl. 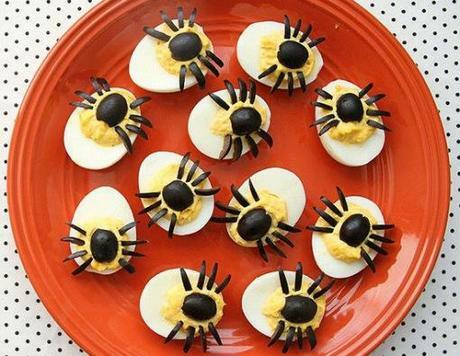 It’s fairly easy to give classic Halloween candy the creativity of using fruit. For example take the PUMPKIN – the maskcot of Halloween, which happens to be a cultivar of a squash plant, most commonly of Cucurbita pepo, that is round, with smooth, slightly ribbed skin, and deep yellow to orange coloration. The thick shell contains the seeds and pulp. This kind of creativity is to make a healthier, more natural form of candy corn layer a wedge of pineapple, a wedge of cantaloupe, and a piece of banana on wooden skewers. You can also make healthy apple monsters by using a melon baller to carve out eyes, mount them on toothpicks, and use a large apple slice as a mouth with slivered almonds to create the toothy grin. Again it’s all in your creativity. Without making all fruit you could even add dark chocolate on the fruits or any candy that mixes with the taste of the fruit you use. Again make it fun and delicious so its utilized with decreasing everything being candy, which isn’t good for anyone’s else. In the store you find candy trans fat or refined sugars or high processed or even regular milk chocolate as opposed to dark chocolate (healthier). Make homemade candy treat bags at the parties with these creations of yours. I know it takes time but making it know your helping a another individual which should make you feel could and trust me many will appreciate you like the other moms. Sometimes there can be just too much sinfully sweet ingredients in Halloween desserts. One of my favorites is chocolate chunks in double chocolate tombstone brownies. However, you can satisfy a sweet tooth without killing your entire diet by creating a healthy dessert with just a touch of sweetness. You can either make those dark chocolate brownies and cutting them into finger size pieces as opposed to a regular size brownie with making them have a Halloween effect look on them. Another idea going more health wise is creating spooky bananas by using 2 dark chocolate chips for eyes and a dark chocolate kiss as a surprised mouth on ½ of bananas or make witches caldrons by coring apples and filling with quick oats, raisins, and a touch of maple syrup. 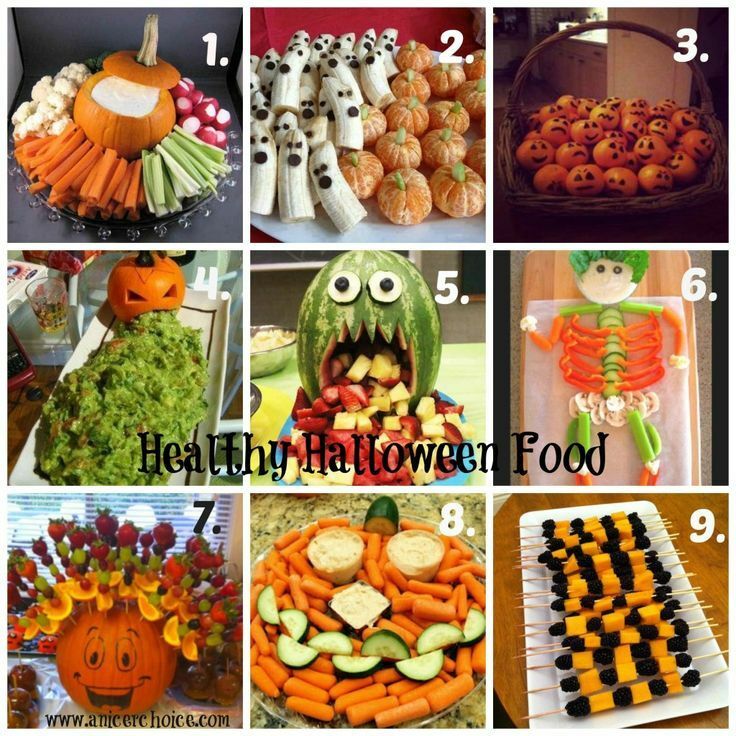 Take oranges or mandarins putting celery sticks in the top center to make pumpkins. For a sweet treat that will satisfy your haunted Halloween cravings—try whipping up batches of pumpkin inspired cookies, brownies, cakes, and muffins. Pumpkin is actually a nutritionally fuelled substitute for butter, margarine, and oil in a lot of lower fat recipes. Use your minds depth in making Halloween creations. Who says that vegetables can’t be festive? In addition to buckets of candy and chocolate at your Halloween party, feature a platter of carrots, cucumbers, and pepper pieces cut into spooky shapes—such as ghosts, witches hats, bats, cats, and pumpkins for dipping into healthy hummus, salsa, and guacamole. 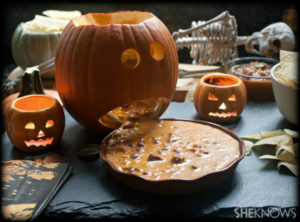 Or spoon salads into cored peppers carved into mini Jack-o-lanterns. With fruit, healthy chips, vegetables with salads and create healthy dips. For blood effect salsa, for green goblin effect guacamole dips, orange effect from carrot veggie dip to bean veggie dip. Than there is fruit cherry dip to green apple dip to orange or mandarin or pumpkin dips. If there’s one snack I just can’t resist, it’s peanut butter rice crispy treats! However, instead of getting mine from a box, I choose to make a healthier version in my own kitchen, and I use nutritious ingredients—like raw almond butter and whole-wheat rice crisps—to redeem my Halloween sins. Air popped corn (especially if it’s whole grain) can provide a filling foundation for sweets and snacks without haunting you for weeks after. Indulge your taste for something sweet by air popping corn; rolling it into balls using a bit of honey or maple syrup, raisins, and chopped nuts; and drizzling with dark-chocolate and melted almond butter. Or simply serve an air popped bowl of corn sweetened with a bit of maple syrup for a healthier version of caramel corn. Part II Get ready for November Awareness Diabetes-The types, risk factors & the key to stopping it. a. )Diabetes I & b.) Diabetes ll. We have risk factors that can cause disease/illness; there are unmodified and modified risk factors. Now modified risk factors are factors we can control, 3 of them that you can control: They are 1. )your weight 2. )diet 3. )health habits (which play a big role in why many people get diabetes II). Dietary factors. A number of dietary factors have been linked to an increased risk of type 1 diabetes, such as low vitamin D consumption; early exposure to cow’s milk or cow’s milk formula; or exposure to cereals before 4 months of age. 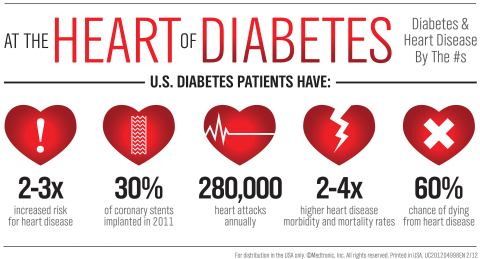 So help control your diabetes through diet (eating a low glucose or sugar diet=1800 to 2000 calories a day as your m.d. prescribes for you), weight (get in therapeutic weight range), and practice healthy habits. My blog can help guide you those in wanting to prevent diabetes by helping you lose weight by eating 6 low glycemic meals a day which allows low fat, low carbohydrates, low sugar keeping your baseline glucose at a steady level and low sugar level more on a regular basis with still treating yourself to occasional high glycemic meals when you’re in ideal weight. Follow this plan and in the first week eating like this I lost 5lbs or more and in the second week another 5lbs and since 1 to 2 lbs. per week . If you don’t, you put your diet 3 days back. This would definitely benefit you in prevention but if not or if diagnosed with diabetes always check with your doctor regarding diet, activity, and new health habits you may start, especially through this diet and make the alterations you need to do as your m.d. recommends. Recommended is have your m.d. give you clearance to start any new program if diagnosed with DM. I lost 22lbs already and I’m not obese by the body mass index. When I made this a routine in my life it got so EASY since I put health before my taste buds desires. It took time for not cheating with the food but it worked. 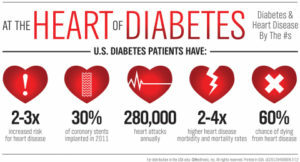 Get ready for November Awareness – Diabetes and our health. 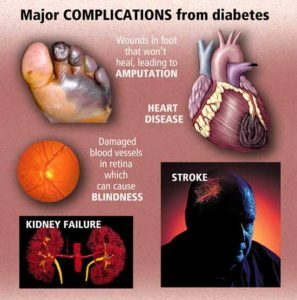 Diabetes Mellitus (DM) is a complex chronic disease involving disorders in carbohydrate, protein, and fat metabolism and the development of macro-vascular, micro-vascular, neurological complications that don’t occur over a few nights or weeks or months. It is a metabolic disorder in where the pancreas organ ends up causing many disruptions in proper working of our body. The pancreas is both an endocrine and exocrine gland. The problem with diabetes is due to the endocrine part of the pancreas not working properly. More than 1 million islet cells are located throughout this organ. The three types of endocrine cells that the pancreas excretes into our blood stream are alpha, beta, and delta cells. The alpha cells secrete glucagon (stored glucose), beta secrete insulin, and delta secrete gastrin and pancreatic somatostatin. A person with DM has minimal or no beta cells secreted from the pancreas, which shows minimal or no insulin excreted in the person’s bloodstream. Insulin is necessary for the transport of glucose, amino acids, potassium, and phosphate across the cell membrane getting these chemical elements into the cell. When getting these elements into the cells it is like the cell eating a meal and the glucose, being one of the ingredients in the meal, is used for energy=fuel to our body; the glucose inside the cells gets carried to all our tissues in the body to allow the glucose to be utilized into all our tissues so they can do their functions (Ex. Getting glucose into the muscle tissue allows the muscles to have the energy to do the range of motion in letting us do our daily activities of living, like as simple as type or walk). 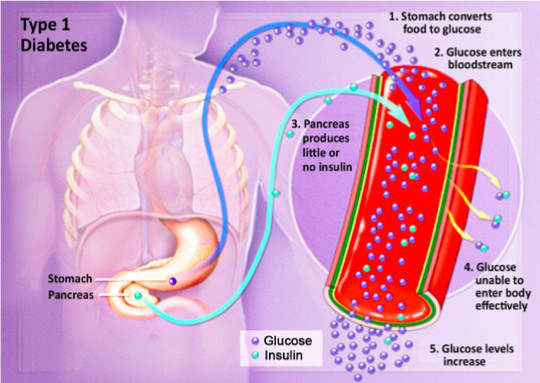 The problem with diabetes is the glucose doesn’t have the insulin being sent into the bloodstream by the pancreas to transfer the glucose across the cell membrane to be distributed as just discussed. Instead what results is a high glucose levels in the blood stream outside the cells causing hyperglycemia. Remember when a doctor has you go to the lab or even in his office getting blood drawn from your arm to check blood levels of electrolytes (like glucose, potassium, sodium) or even drug levels, its measuring only these elements outside the cell. We cannot measure the levels of these elements inside the cell or we would have to break the cell destroying it which makes no logic or help in diagnosing. It should be apparent that when there is a deficit of insulin, as in DM, hyperglycemia with increased fat metabolism and decreased protein synthesis occur ( Our body being exposed to this type of environment over years causes the development of many chronic conditions that would not have occurred if DM never took place in the body, all due to high glucose levels starting with not being properly displaced in the body as it should be normally since insulin loss didn’t allow the glucose to go into the cells but remained outside the cells.). People with normal metabolism upon awaking and before breakfast are able to maintain blood glucose levels in the AM ranging from 60 to 110mg/dl. After eating food the non-diabetic’s blood glucose may rise to 120-140 mg/dl after eating (postprandial), but these then rapidly return back to normal. The reason for this happening is you eat food, it reaches the stomach, digestion takes place during digestion the stomach breakes down fats, carbohydrates, and sugars from compound sugars to simple sugars (fructose and glucose). Than the sugars transfer from the stomach into the bloodstream causing an increase in sugar levels. Now, your body uses the sugar it needs at that time throughout the entire body for energy and if still extra sugar left in the bloodstream that isn’t needed at that time to be utilized it now needs to go somewhere out of the bloodstream to allow the glucose blood level to get back between 60-110mg/dl. That extra glucose first gets stored up in the liver 60-80%. How this happens is the extra glucose in the blood stream not needed now fills up the liver (like filling up your gas tank) but limits the amount it can take. When the glucose goes in the liver it goes from active sugar to inactive by getting converted from glucose to glycogen=inactive sugar now. Now when the liver can store no more then the extra glucose left in the bloodstream after all tissues utilized the digested sugar sent to the bloodstream after digestion and the next place for storage gets stored in our fat tissue=fat storage=weight increase. That is the logic behind eating small meals properly dispensed with protein/CHOs/sugars/fat every 6hrs. This limits the amount of food to digest down to prevent excess sugar in the bloodstream preventing hyperglycemia from occurring and most of your small meal if not all is utilized by our muscle tissues preventing both hyperglycemia and high fat distribution of the glucose to prevent weight increase, also. 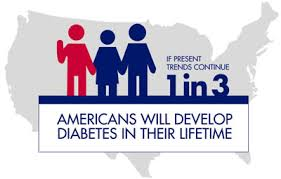 Unfortunately this doesn’t take place with a diabetic since there is very little or no insulin being released by the pancreas and over time due to the high blood glucose blood levels (called hyperglycemia) problems arise in the body over years. When diabetes occurs there is a resolution and you have the disease the rest of your life. You need to control your glucose level through proper dieting for a diabetic with balancing exercise and rest. Exercise uses up your glucose also in the body. Increase activity the body needs energy the gas for the body is glucose, like gas in our auto vehicles in the tank. 2 TYPES OF DM: a. )Diabetes I & b.) Diabetes ll. We have risk factors that can cause disease/illness; there are unmodified and modified risk factors. Stayed tune for part II tomorrow on more knowledge of this disease. 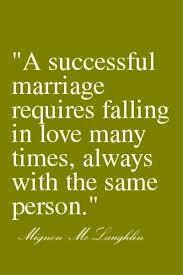 Marriage and how to make it a success! Marriage is a bonding of two people who have spent a considerable period of time together. On average over a yr to 3 yrs is long enough to be able to decide whether an individual on both sides wants to make more of a commitment from committed couple being exclusive to now a couple for life. During the time of exclusive commitment of 1 to 3 yrs (for some even more) both parties get to see the other person’s overall morals, values, priorities in life with interests. For some there a lot of common modalities with each other make a great pair but for others similarities are a few but also differences (from a few to multiple). This is where with the differences can the two work out being in a relationship for life living with each other day in and day out or most days. Well yes it is just up to the two that make up the couple to want to take the initiative in learning the other one’s desires and interests but in regards to changing morals and values for some in the couple shouldn’t take place unless that individual wants to and believes that is the morals and values they want to live by not to make the other one happy since high odds the relationship won’t work out. What makes a relationship honestly work. Well there are ingredients to it not just one thing. Love/Commitment. At its core, love is a decision to be committed to another person. It is far more than a fleeting emotion as portrayed on television, the big screen, and romance novels. Everyday life wears away the “feel good side of marriage.” Feelings, like happiness, will fluctuate. But, real love is based on a couple’s vows of commitment: “For better or for worse” — when it feels good and when it doesn’t. Feelings come and go, but a true decision to be committed lasts forever – and that is what defines true love. It is a decision to be committed through the ups and the downs, the good and the bad. When things are going well, commitment is easy. But true love is displayed by remaining committed even through the trials of life in your marriage journey. Sexual Faithfulness. Sexual faithfulness in marriage includes more than just our bodies. It also includes our eyes, mind, heart, and soul. When we devote our minds to sexual fantasies about another person, we sacrifice sexual faithfulness to our spouse. When we offer moments of emotional intimacies to another, we sacrifice sexual faithfulness to our spouse. Guard your sexuality daily and devote it entirely to your spouse. Sexual faithfulness requires self-discipline and an awareness of the consequences. Refuse to put anything in front of your eyes, body, or heart that would compromise your faithfulness as a spouse by either side. Including actions that can be perceived by the other as a break in the emotional, intimate, love, close friendship bonds you both have. Remember it is easy for human behavior to remember what was done badly to you but easy to forget the good that was done to you by your mate especially with fighting a lot. This brings in the old saying it’s easy to forgive but not forget it-human behavior. With fighting a lot this can easily put a big damper on the high impact of love covering all aspects from sexually to emotionally to simple how nice you are to one another with respecting each other. Both parties have to put their spouse first when fire escalates irrelevant who initiated the fire for if the fire gets out of hand to control it will be hard to put out or forget. By preventing this from occurring in your relationship you always must consider your spouses feelings. It really isn’t hard. This brings us to the next ingredient. Humility. We all have weaknesses and relationships always reveal these faults quicker than anything else on earth. An essential building block of a healthy marriage is the ability to admit that you are not perfect, that you will make mistakes, and that you will need forgiveness. Holding an attitude of superiority over your partner will bring about resentment and will prevent your relationship from moving forward. If you struggle in this area, grab a pencil and quickly write down three things that your partner does better than you – that simple exercise should help you stay humble. Repeat as often as necessary which will keep retain this good knowledge you have about your mate and make you bite your tongue in the next disagreement. For when you do have those disagreements to arguments it brings up our next ingredient. Patience/Forgiveness. Because no one is perfect, patience and forgiveness will always be required in a marriage relationship. Successful marriage partners learn to show unending patience and forgiveness to their partner. They humbly admit their own faults and do not expect perfection from their partner. They do not bring up past errors in an effort to hold their partner hostage. And they do not seek to make amends or get revenge when mistakes occur. If you are holding onto a past hurt from your partner, forgive him or her. It will set your heart and relationship free. Time. Relationships don’t work without time investment. Never have, never will. Any successful relationship requires intentional, quality time together. And quality time rarely happens when quantity time is absent. The relationship with your spouse should be the most intimate and deep relationship you have. Therefore, it is going to require more time than any other relationship. If possible, set aside time each day for your spouse. And a date-night once in awhile wouldn’t hurt either. Honesty and Trust. Honesty and trust become the foundation for everything healthy in a marriage. But unlike most of the other essentials on this list, trust takes time. You can become selfless, committed, or patient in a moment, but trust always takes time. Trust is only built after weeks, months, and years of being who you say you are and doing what you say you’ll do. It takes time, so start now… and if you need to rebuild trust in your relationship, you’ll need to work even harder. Communication. Successful marriage partners communicate as much as possible. They certainly discuss kids’ schedules, grocery lists, and utility bills. But they don’t stop there. They also communicate hopes, dreams, fears, and anxieties. They don’t just discuss the changes that are taking place in the kid’s life, they also discuss the changes that are taking place in their own hearts and souls. This essential key cannot be overlooked because honest, forthright communication becomes the foundation for so many other things on this list: commitment, patience, and trust… just to name a few. Selflessness. Although it will never show up on any survey, more marriages are broken up by selfishness than any other reason. Surveys blame it on finances, lack of commitment, infidelity, or incompatibility, but the root cause for most of these reasons is selfishness. A selfish person is committed only to himself or herself, shows little patience, and never learns how to be a successful spouse. Give your hopes, dreams, and life to your partner but your partner has to want to live and enhance those dreams with you with never putting the majority of your dreams down or not acknowledging them. By both partners accepting and supporting each other’s dreams only allows the two in the marriage to begin to live life together and only intensify the love for each other with respect. Lastly give incentives and rewards. 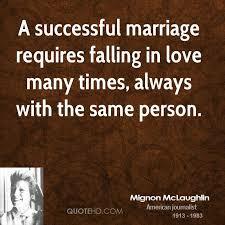 For the couples in general affective affirmation is a good key to marriage happiness. Affective affirmation is for example letting your partner know that they’re special, valued and you don’t take them for granted. Showing your mate through incentives and rewards is acknowledging them in a loving to even intimate way, depending on what the spouse uses as a reward or giving as a good incentive. Contrary to popular belief, men need more affective affirmation than women because women can get it from other people in our lives. The key is to give consistent affirmation rather than heaps of it at once. You both can make a marriage live on for life but it’s also up to both to make it exciting and a wondrous journey but many make it dull, boring to dense that at times leads to curiosity out of the marriage to divorce. 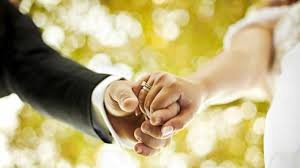 It is up to the couple to both make the marriage work not only one can make it work but the two have to work at it to make it a great marriage to both parties. 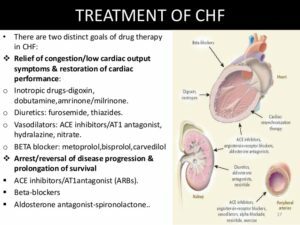 Part II Congestive Heart Failure-Symptoms, Diagnosing it and Rx. Tests help rule other possible causes of symptoms. The symptoms of heart failure can result when the heart is made to work too hard, instead of from damaged muscle (like in a heart attack). 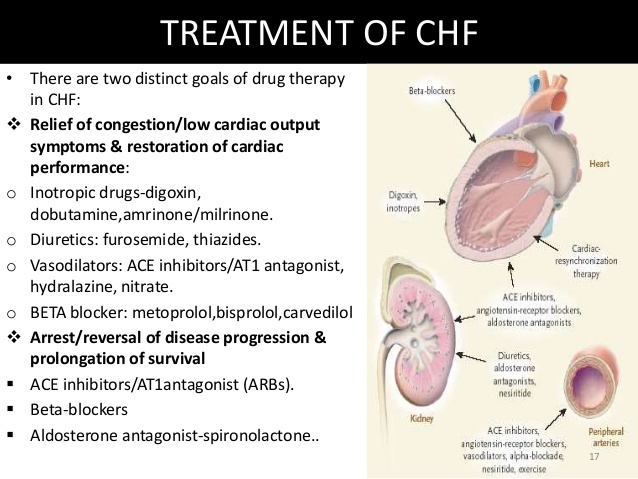 Conditions that overload the heart occur rarely and include severe anemia and thyrotoxicosis (a disease resulting from an overactive thyroid gland). -If not diagnosed yet your already possibly ahead. Without this diagnosis you can get started on making yourself further away from being diagnosed with this disease. How to reach this goal is through living a routine life through healthy habits practiced, healthy dieting over all, and balancing rest with exercise during the week 30-40 minutes a day or 1 hour to 1.5 hours 3 times a week and not being obese. 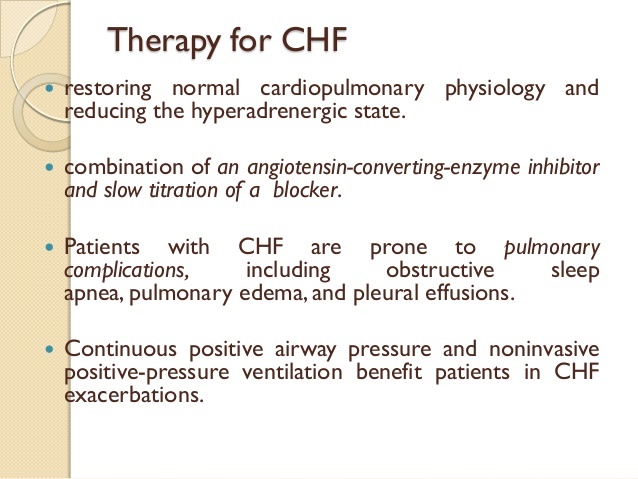 They all would benefit the heart in not stressing it out making the heart’s function harder in doing its function. 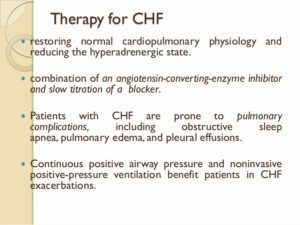 When the heart stresses out it is at risk for lacking oxygen putting it at potential for angina (heart pain) to a heart attack with over time leading toward failure of the heart. TAKE THE STEP AND GET ACTIVE OR CONTINUE TO STAY ACTIVE IN YOUR , with healthy eating balancing with rest as well! Always check with your primary doctor first.